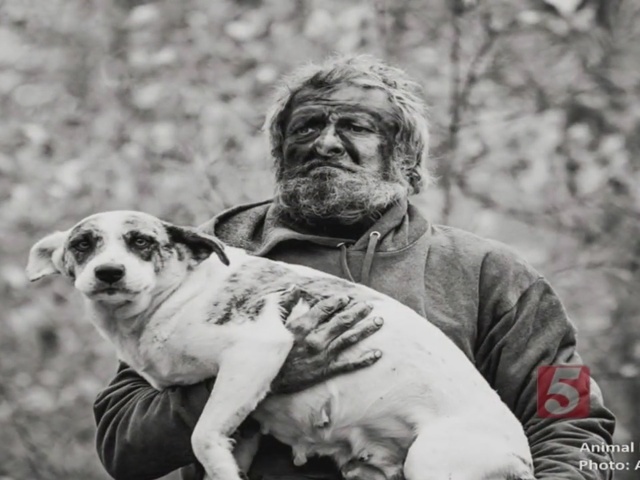 A mysterious mountain man has lived for years alone deep in the heart of a Tennessee forest. His only companionship? A loyal pack of dogs he considered to be family. Tony was known simply as the "Man in the Woods." Some thought he lived alone in the woods, but Tony was never alone. "This was the only family he knew and loved," said Scotlund Haisley, Tony's friend from the Animal Rescue Corp.
Haisley described how Tony would howl and the dogs would come running to him. "They would come from deep out of the woods from many directions to him. It was a tremendous sight to be seen. I'd never seen anything like it'" said Haisley. Thirty-one dogs made up the pack which made up Tony's family. Tony is known as a mysterious, so-called "mountain man" who lived in the woods of Natchez Trace State Park for the past sixteen years. Through hot summers and frigid winters, "He slept with these dogs. Can you imagine how warm he was just piled in with these dogs." said Haisley. Still those who tried to help Tony knew his health was slipping and he needed to come in from the wild. He agreed, but on one condition. "This man was not willing to do so until each one of these his dogs was promised a new home," said Haisley. Tony came to trust Haisley and the ARC volunteers when they reached out to him to help. He did finally agree it was time to go. "He was emotional. He was happy. He was excited," said Haisley. So much so, that Tony painted his face in celebration. "You can see the combination of triumph and sadness all in that same image of his face," said Haisley. Tony didn't sit for an interview. He was busy helping to gather the dogs, most healthy, some sick or injured. All were taken to a temporary shelter. "Nearly 100% of these dogs are very sweet and want human contact," said Haisley. All of them will be adopted out to loving homes. As for Tony? He was sad, but also thrilled be part of the ARC family that helped save his pack. Many of Tony's dogs have already been adopted, and Tony is doing well thanks to the help from friends he's recovering physically and now has a roof over his head. 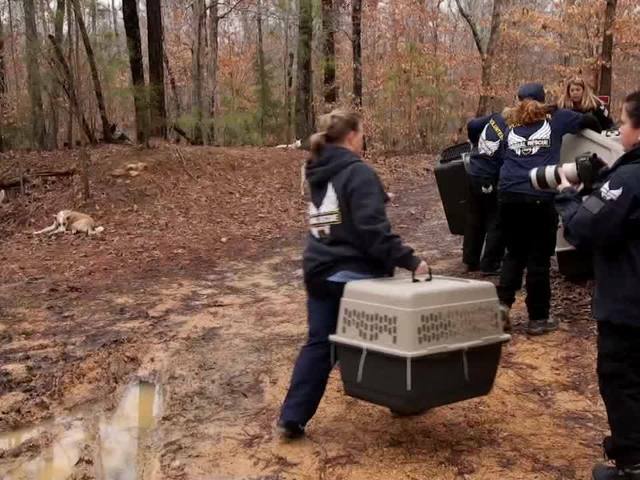 For more information on Animal Rescue Corps, click here .